On Saturday night, on the main card of UFC London, Dominick Reyes and Volkan Oezdemir collided in a crucial light heavyweight contender bout. After three closely contested rounds of action, Dominick Reyes was named the winner by split decision. Yet not everybody agreed with the judges’ verdict. Volkan Oezdemir himself, unsurprisingly, feels they made an error. “I don’t want to say it’s (expletive),” Oezdemir told MMA Junkie shortly after his battle with Reyes. “Maybe I should have produced a little more, but I clearly won the fight. “I was the better man tonight, and unfortunately the judges didn’t see it that way,” he added. 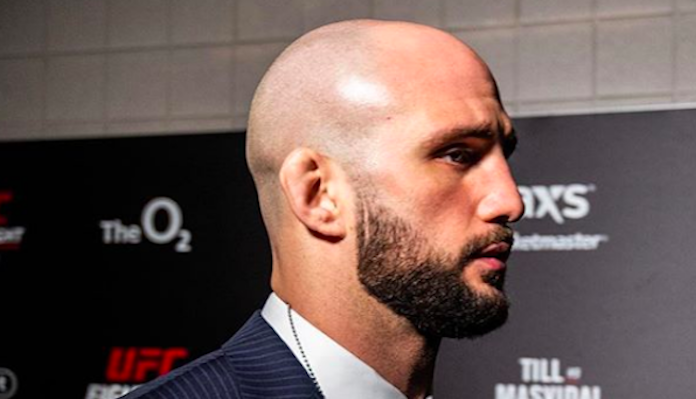 While Volkan Oezdemir wasn’t pleased with the way things unfolded in London, he did have some praise for Dominick Reyes, who he acknowledges is a solid opponent. The Swiss light heavyweight also expressed interest in a rematch with his American counterpart. If he had been victorious in London, Volkan Oezdemir was hoping for a high stakes fight with a streaking contender like Thiago Santos or Corey Anderson. While he is understandably still hoping for matchups of this kind in the future, he recognizes tht he may have to take a different course in the interim. “Definitely a lot of different opponents I’ll be interested in fighting,” he said. What do you think the future holds for Volkan Oezdemir after UFC London?